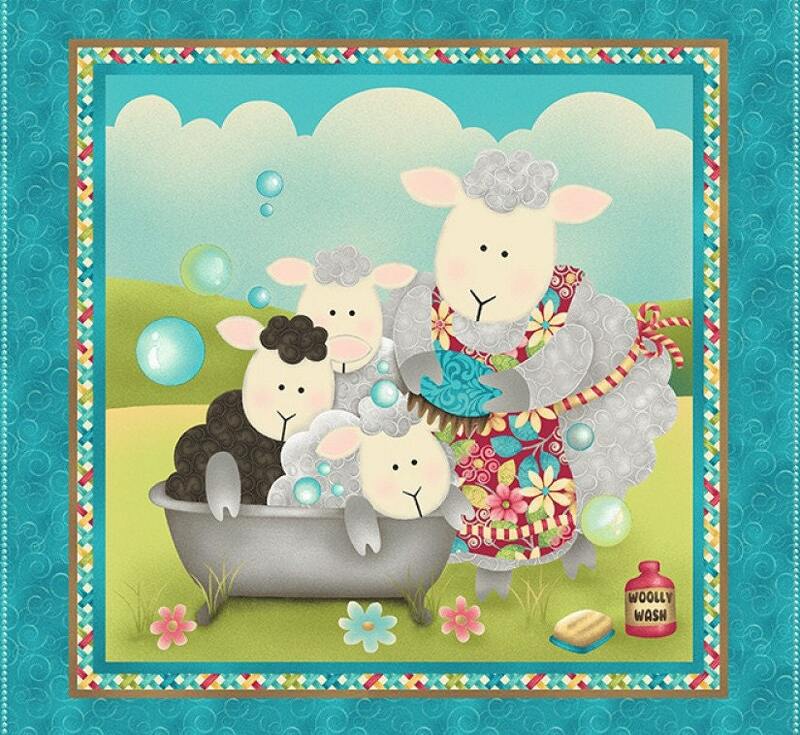 Make bath time look like fun for your little lamb! 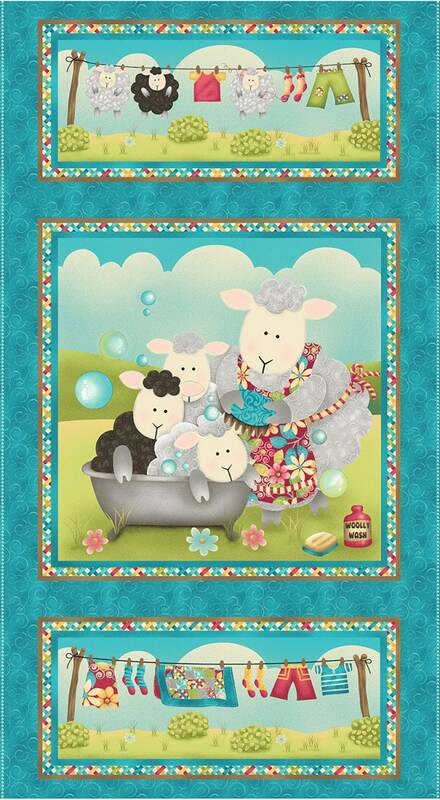 Splish Splash is a sweet fabric designed by Sandy Lee. 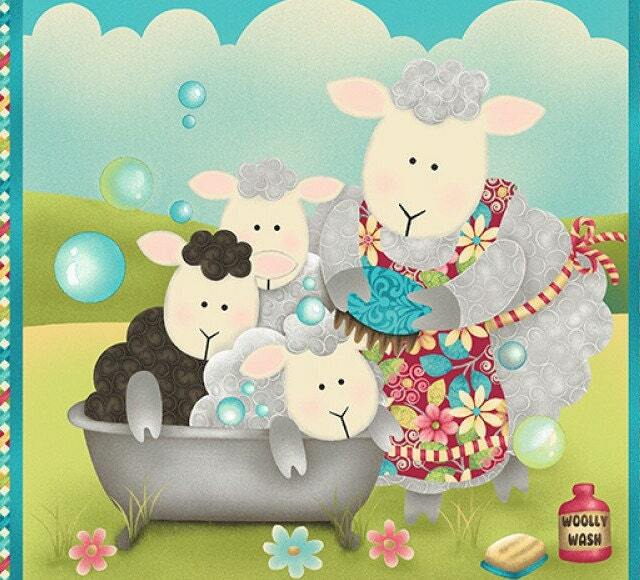 Mama sheep gives her lambs a bath, and hangs them and their clothes out to dry! Created in pink, blue, and green with a splash of bright florals. Soap, shampoo, sponges and soapy bubbles float across this fabric. Make an adorable quilt for your little lamb to snuggle under and dream sweet dreams. Don't forget to purchase the sweet cloth book from this sweet line of fabric. All fabric from The Quilted Nursery Fabric Store is cut directly from the bolt in continuous yardage. We now offer fractional yardage cuts for your quilting, sewing and crafting convenience. Same day shipping except for Sunday and holidays. Shipping overages are refunded on shipment of fabric. Very nice fabric panel for babyquilts. Very fast shipping to Germany. This order was on time and looking forward to getting started.